Between 1992 and 1994 the Romanian company ICE Felix manufactured the HC 2000 microcomputer that came with a built-in floppy disk drive and there was a version with a built-in tape recorder. 5. 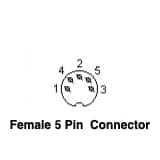 Network Connection 5. Blue 5. n.c.
6. Serial ground 6. 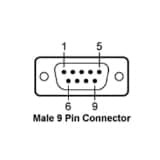 Ground 6. n.c.
Another option is to take Composite Out (pin 7 from the D-SUB DE-9 video connector) and ground (pin 2) and route them to SCART or RCA connectors. 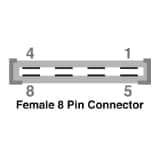 If you’re going for a D-SUB DE-9 to RCA cable, pin 2 (DE-9) should go to RCA barrel and pin 7 (DE-9) to RCA central pin. 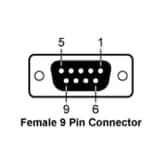 A D-SUB DE-9 to SCART cable should connect pin 2 (DE-9) to pin 17 (SCART) and pin 7 (DE-9) to pin 19 (SCART).